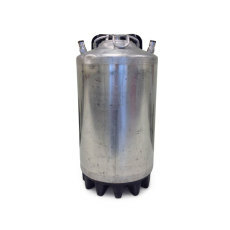 A used 3 gallon ball lock corny keg for kegging small batches, or for splitting batches for bottling and kegging. 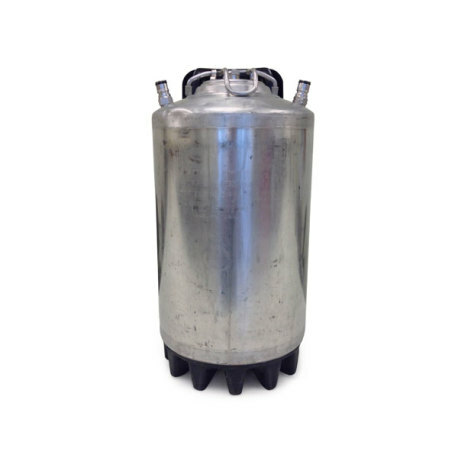 Used 3 gallon ball lock kegs are an economical way to split batches for kegging and bottling, do small batches, or take less with you to a party or gathering! These kegs have been reconditioned, meaning they have been given a light cleaning, had their o-rings changed out, and have been pressure tested at 10 PSI. Made of high quality stainless steel, these kegs were built to last! 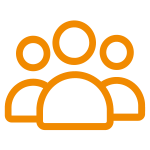 With proper care and maintenance, they can serve you well for years to come. NSF certification means the kegs were made to the highest sanitation standards (we all know how much that means in brewing!) Get one or two for any situation that may arise. Good quality used keg. It arrived very quickly and ready to be put to work after a quick sanitizing rinse. Just the right size for taking along to a party or camping, much easier to fit in a cooler than a full size 5 gallon keg. Every brewer that kegs their beer should have at least 2 of these.